Fox News has landed an exclusive on-air interview with accused Trayvon Martin killer George Zimmerman, scheduled to fill the nine o’clock hour of Hannity tonight — not that there was much network competition. Sean Hannity has long pursued Zimmerman personally, announcing on his show back in April, before Zimmerman was even arrested, that the two had spoken off the record by phone. 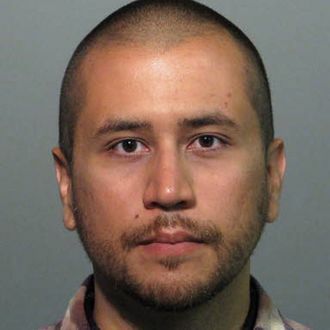 “Zimmerman will open up about what happened the night of Trayvon Martin’s death and his experience in the aftermath of the fatal shooting,” Fox announced today. “Additionally, Zimmerman’s defense attorney Mark O’Mara will answer questions regarding his client’s case and rumors circulating about the bail donations and hidden money.” As a matter of fact, some of those rumors concern Hannity himself. Global Grind reported yesterday that Zimmerman’s recently released jailhouse phone calls — which were overshadowed by claims he repeatedly molested his cousin — include references to a mysterious would-be benefactor referred to only as “SH.” On tape, Zimmerman mentions “the support coming from SH,” which sounds financial in nature. “A rock solid source has told us that the personal email address for ‘SH’ that George Zimmerman gives to his friend, Scott, is in fact the personal email address for Sean Hannity, thus confirming that ‘SH’ is in fact the Fox News host,” Global Grind reported. But a spokesperson for Fox News responded forcefully, “Sean Hannity has never offered to pay any legal fees or any fee associated with George Zimmerman.” We’ll see if they get into that part, but a better bet is that Hannity will dominate in the ratings. Not that he needs the help.